The gates of the secret garden have reopened for the second installation of the online slot games favourite. Encounter mallard the duck and unpick the lock with the correct combination of symbols and maintain the upkeep of the garden to win up to 100x your stake. Make a deposit and play UK slots today! Eyecon burst onto the online gaming scene in 1999 following years of intense research and development and a strong passion for creating revolutionary slot games. With over 160 diverse games in their repertoire, Eyecon Games are certainly forerunners in the slots market having worked on games such as Doubleup Ducks and 99 Time to name a few. They live by one philosophy and one philosophy only; to create spin slot games that people love to play and return to. Secret Garden 2 builds on the legacy that its predecessor left before it; a quaint online slot game filled with creatures of the forest on top of a lovely autumnal feel. This game is also a video slot, meaning that throughout your gameplay experience you will be able to enjoy interactive animations of flying dragonflies and the like gliding across your screen and congratulating you on your wins. Once you are taken to the main game you will be acquainted with the standard 5 reel game board that lives in the serene and soothing enchanted garden. Secret Garden 2 offers a very relaxing and enjoyable gaming adventure. We hope this is your preference and eventually play online slot best games! If you consider yourself something of a high-roller then you can place up to £60 on the reels after all paylines are taken into account and enjoy the fruits of your labour once the day is done. However, Eyecon has always made games with inclusion in mind, so if you’re looking for some escapism you can place bets for as little as a penny a shot. Secret Garden 2 is a beautiful looking game that caters for every type of gamer there is. The reasons are obvious as to why gamers love this game. It’s impossible not to be drawn into Secret Garden’s theme because of its immersive and candid background and intriguing symbols across the reels. Spin the reels and unlock the mysteries of the Secret Garden and uncover friendly insects, exotic flowers, wheelbarrows, and sundials. If you weren’t already convinced by the sheer aesthetics of this online slot then you will be blown away by the bonus features that this game has. Find the watering can and you’ve found your scatter, pick your rose, and you’ve found the Wild. It must be noted that both these symbols trigger additional in-game features that will enable you to climb the money tree and pick some unbelievable one-off prizes. If you’re looking for more information on how to find this money tree then don’t be alarmed, it’s very simple. Match three scatter symbols and watch in awe as the money tree grows from the ground to form a bulging cash orchard. You must remember to water your crops, though, otherwise, you’ll lose your multiplier bonus. If you’ve read this far and you’re wondering about those free spins then you’ve made it. Discover the wild rose and match between 3 and 5 anywhere across the reels to trigger up to 25 free spins. In addition, while you peruse the Secret Garden in free spin mode all line spins and scatter wins are tripled during this period. Lovely. 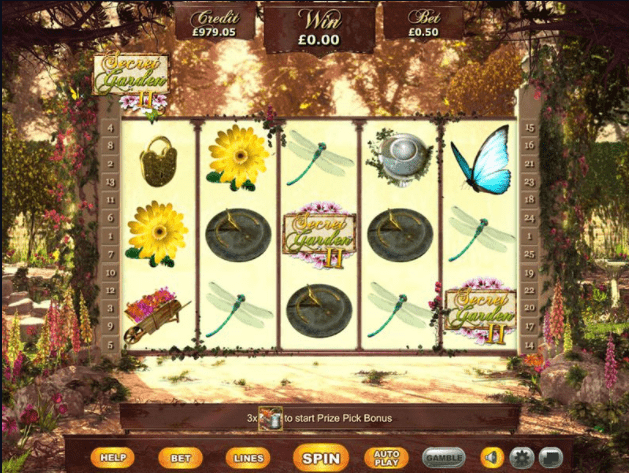 Lose yourself in the beauty of Secret Garden 2 and enjoy the insects, flowers, and birds flutter around you in this calming online slot game. This game is both beautiful to look at and filled with some lucrative bonus features and free spin adventures that keep you coming back for more. 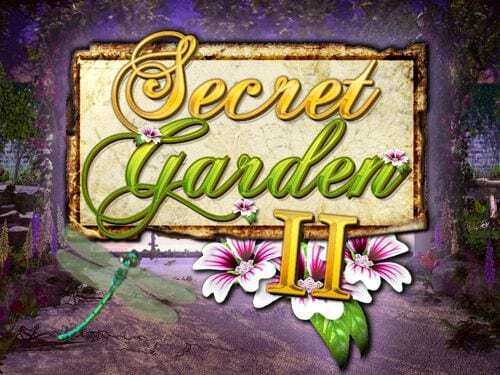 Secret Garden 2 puts the initial installation of this franchise in its shadow. Wizard Slots rates this game 9/10. Another superb slot is gonzo's quest slot.